Ticketbooth is powered by the latest cloud technology: No more server crashes or dodgy ticket providers. Ensuring you’re using the right event ticketing system is critical from the start of sales to the last ticket scanned on the day of your event. Ticketbooth is the tried and tested choice for promoters looking to sell more tickets to their events. 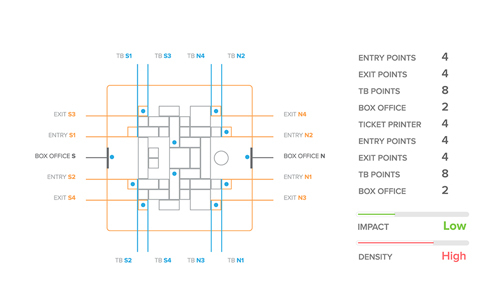 Our ticketing solution supports sales online, at outlets and can even be used during your event to process walk-ups. Ticketbooth allows event organisers to connect their own merchant account and receive funds directly into their bank account. Sell items like t-shirts, posters, bus tickets, camping passes, and meal or drink vouchers either separately or as a bundled package with tickets. Concert promotion is key to success. 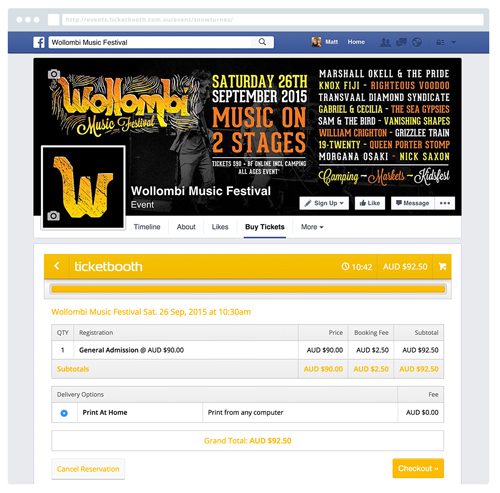 Ticketbooth works with Australia’s top promoters to track, manage and promote events at scale. Over 60% of ticket buyers purchase tickets from Facebook. 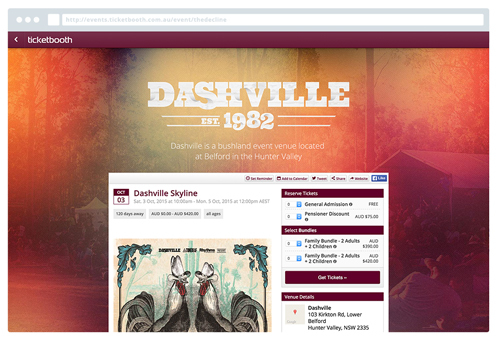 Ticketbooth integrates with Facebook so that your fans can purchase tickets without leaving your Facebook page. Incentivise ticket buyers to promote you events to their friends in exchange for a discount on service fees. Social rewards helps you reach thousands of like minded buyers for no additional cost. Advertise your event on Facebook? Ticketbooth feeds sales data directly into Facebook’s advertising network to automatically calculate ROI and conversion rates allowing you to save thousands in adspend. Purchasing tickets should be easy, so we’ve removed mandatory signup. Customers are automatically created an account upon purchase of tickets. Rest easy knowing your customers have a friendly support team a call or email away to answer questions and help process sales.